Drop in on those you love. 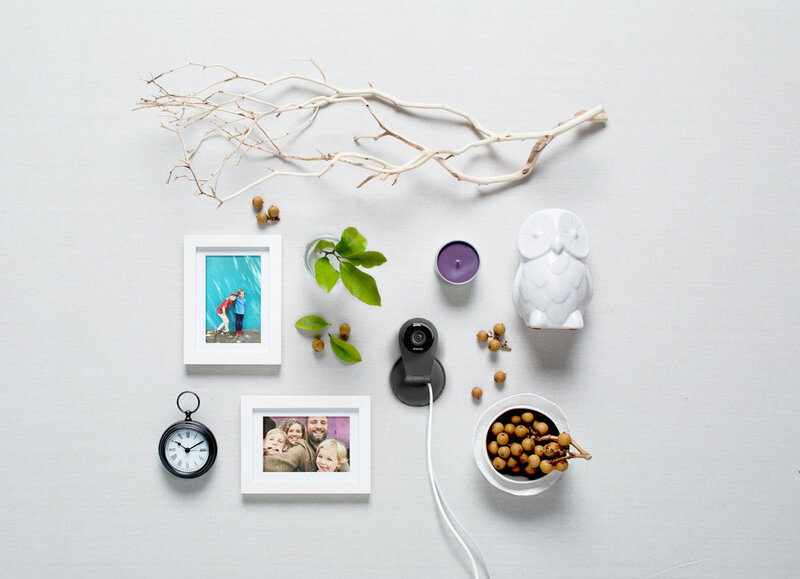 Dropcam was a San Francisco based startup who reinvented WiFi video streaming cameras, and later was acquired by Google's NestLabs in June of 2014. Dropcam was the first-in-market product to provide a simple to use security camera that was accessible from anywhere because of our cloud video storage and streaming. At Dropcam, I got to work with an amazing team of talented and hard-working folks. We strived for providing our users with a great product and user experience. I started working for Dropcam in February 2013 as their first Brand Designer in the Marketing team — at the time the company was at 28 employees. We worked with Character, a highly talented and skilled Design agency, to develop the foundation of Dropcam's brand identity. From there, I started expanding our brand language to apply to a number of different mediums: illustration, iconography, and photography. Soon after, I was able to grow the Brand Team to meet the demands of our quickly growing company. We wanted Dropcam to be seen as more than just a security camera by being part of our user’s everyday life, as tool to drop in on places and people they loved. Developing a friendly and approachable brand was key to set us apart from our competitors. We wanted to show our users we understand their everyday life and concerns, and we are here to bring them peace of mind and joy. We deliberately did not prey on their fears by telling stories of burglars and break-ins . Instead, we told stories about their families, their kids coming back home, their baby’s first steps, or their pet’s shoe chewing skills.